Short term cloud service providers have popped up over the past couple of years trying to get their fingers into the cloud cookie jar. As such, many have learned the business of cloud computing is ruthless. That’s one of the reasons that it is important to choose an experienced managed service provider. Cloud companies that have been around for decades have the know-how and the staying power to offer cloud architectures for any sized business. Many companies have had the unfortunate poor luck of sticking all their cloud needs into one basket. They have found that by having one cloud service provider they run the risk of losing all their software, hardware, and storage needs if the provider closes its doors. Countless enterprise companies have tried to incorporate a single provider into their architectures, but as of late, have learned the best way may be to use multiple providers to ensure their data, and daily workflow will remain safe. First, understand that multi-cloud and hybrid are two different animals. Many companies are still using the two infrastructures synonymously, but in fact, they are not the same. A hybrid infrastructure uses two or more cloud strategies, such as; private and public. A hybrid may or may not be multi-cloud. Multi-cloud is when two or more cloud service providers are used to meet all of your IT department’s needs. Should You Have a Local Data Center? As a general rule, it is not a good idea to have your data center localized. Under any solid disaster recovery plan, it is important to have data stored farther away in case of a natural disaster that may hit your main office and the data center simultaneously. However, under a multi-cloud strategy enterprises have learned it is good to have a localized data center, as well as a data center further away. The reasoning for this is latency issues. If it is connected to the Internet then there will be latency issues, period. The further away the data is stored, the more data nodes it has to touch to get back to your office. Each node may have additional latency issues depending on traffic traveling through the node at any moment. Localized data means fewer nodes and faster response times. It is important to have at least one other cloud service provider that handles your data from afar. This serves as a backup away from the localized area, which secures data from a natural disaster, as well as, from a cloud service provider going out of business. Enterprises have to look at different cloud strategies across multiple departments, and in most cases, different locations. 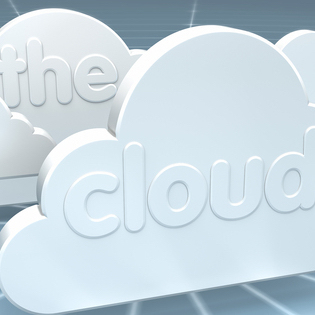 Cloud service providers may not have what the companies need at every location. Developers need very high-speed internet, but the people in HR do not. It is not uncommon for enterprises to incorporate different cloud strategies for different departments. For more information on the cloud and how it can help your business, check out the TOSS C3 website or call us anytime at 1-888-884-8677.